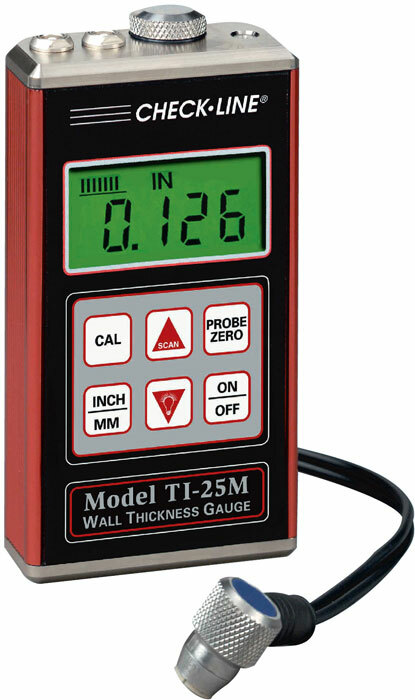 The Check-Line TI-25M Wall Thickness Gauge accurately measures wall thickness and the extent of corrosion of all metals, ceramics, glass and most rigid plastics - from only one side! 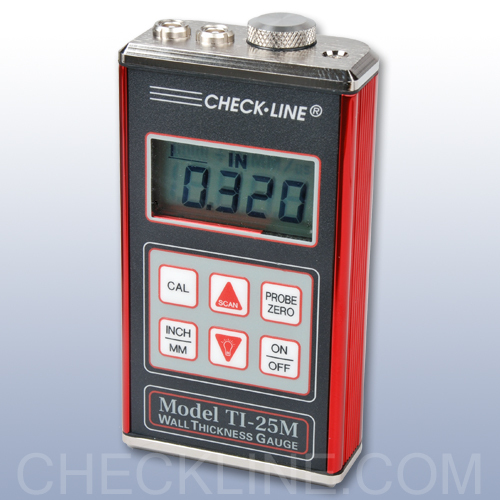 The TI-25M can be used in a Single Thickness Reading mode or in a Scan mode , where the probe is dragged over a large measuring area. The minimum thickness reading recorded during the "scan" will be displayed. 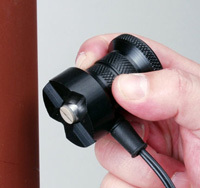 The TI-25M probe is waterproof and can be submerged in water. The gauge is impact-resistant and environmentally sealed to provide trouble-free operation under the toughest field conditions. 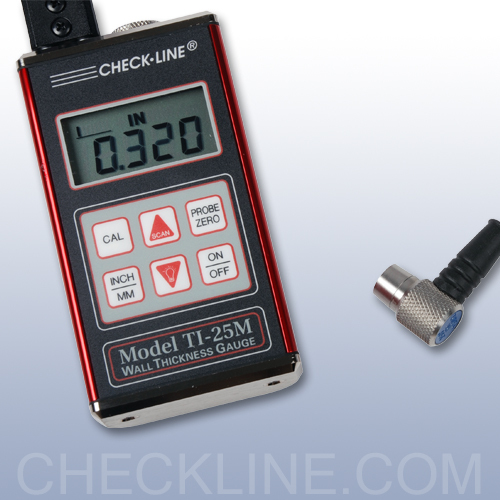 The TI-25M is supplied as a complete kit with the gauge, T-102-3300 probe, 4 oz. 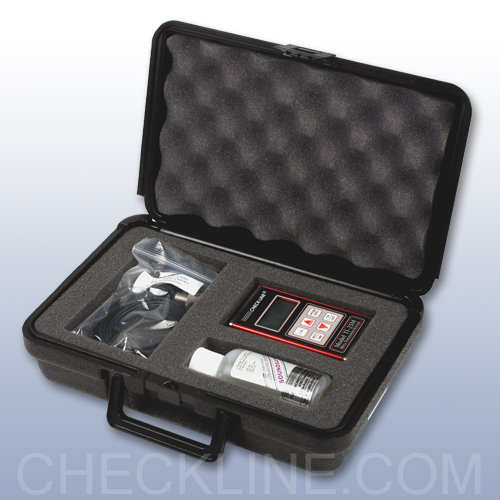 bottle of coupling fluid, 2 AA batteries, NIST Calibration Certificate, and Operating Instruction Manual - all in a foam-fitted carrying case. 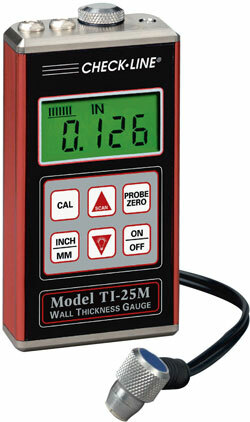 TI-25M-H High Temperature for surfaces up to 650° F or 343° C.
Transducer is 0.5" 5.0 MHz, range .050" to 19.99"